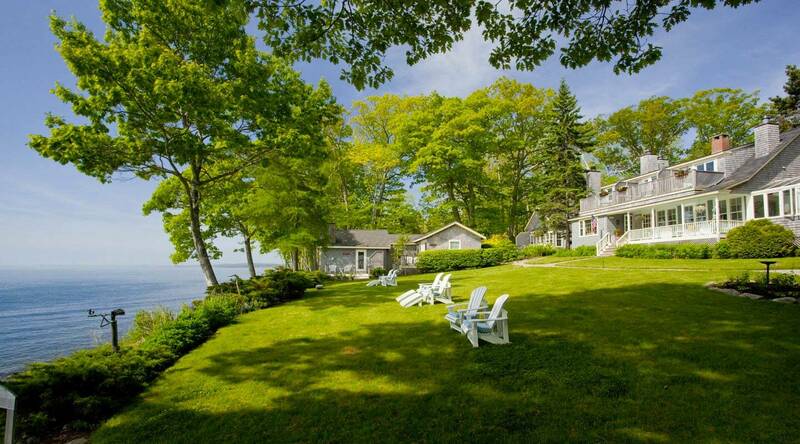 The Center for Maine Contemporary Art, the Langlais Sculpture Preserve and the Belfast Friday Artwalk are all some of the best places to enjoy MidCoast Maine artwork. As spring unfolds and we turn our attention to your arrival, our calendars and inboxes are filling with news of summer activities. 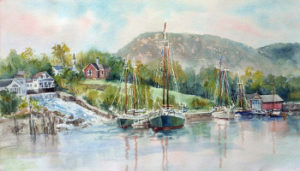 Coastal Maine is brimming with artists and galleries and we would love to share some of our favorites with you. 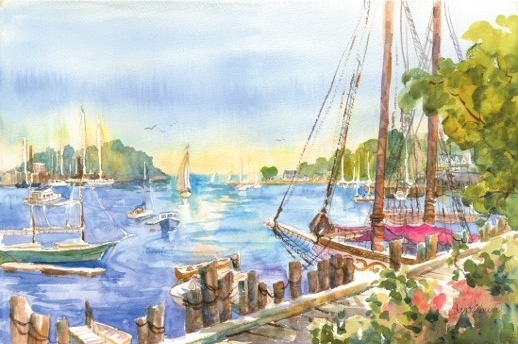 Experience MidCoast Maine through our artwork and artists. 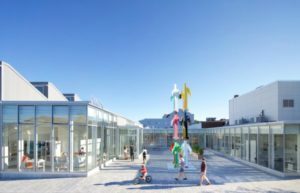 It’s hard to miss this relatively new addition to the Rockland art scene with its striking glass facade and bold exterior sculpture. CMCA has introduced hundreds of contemporary artists over the last six decades, primarily from its location in Rockport. Now in a glistening 11,500 square foot facility in Rockland this museum boasts a visitation of over 50,000 annually. CMCA is dramatic, light-filled and engaging. The 2018 summer season’s exhibits feature Tom Burckhardt, John Bisbee, and Jocelyn Lee. Tucked away and facing Camden’s scenic harbor you will find a gallery showcasing the finest in local Maine art and scenery. Featuring the work of Alan Magee, Carol Seebold, Carol Collette, Edward Gordon, Scott Tindall and many more you will find oil paintings, watercolors, prints and etchings, as well as jewelry and sculptures. 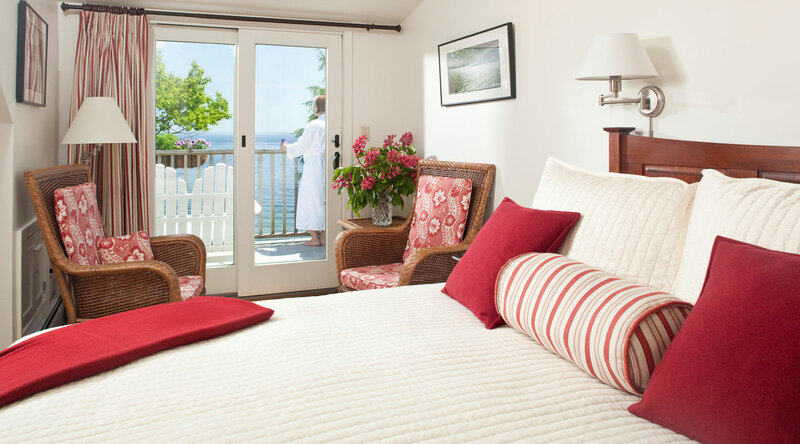 Yes, the inn’s very own and adored ocean-viewing man was discovered at this delightful gallery. 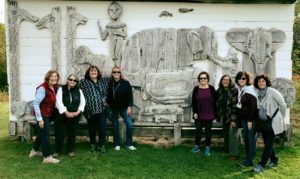 Part of the Georges River Land Trust and located on the 90 acre homestead of Bernard “Blackie” Langlais this preserve features large wooden sculptures that have been meticulously restored by the Kohler foundation. Langlais created over 3,000 whimsical and imaginative works in his lifetime including a satirical rendering of Richard Nixon in a pond and a sculpture of Christina Olson from Andrew Wyeth’s masterpiece Christina’s World. 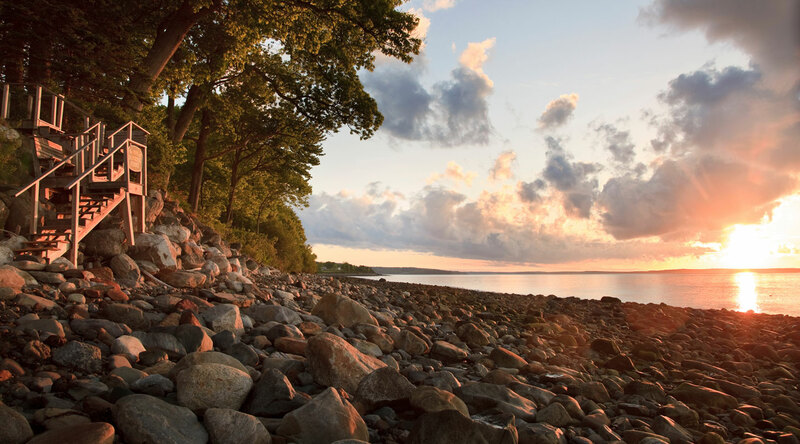 This park and outdoor gallery highlights both Langlais legacy and the natural beauty of the Cushing peninsula. A Maine vacation is not complete without a summer’s night artwalk. Every fourth Friday (May through September) Belfast turns its streets over to its many artists, artisans, musicians, dancers, and poets. Explore this delightful seaside community and discover imaginative galleries, fiddlers and jazz soloists, and ‘Farm to Gallery’ food tastings. Discover this Maine arts destination, mingle with local creatives, and experience midcoast Maine’s way of life.